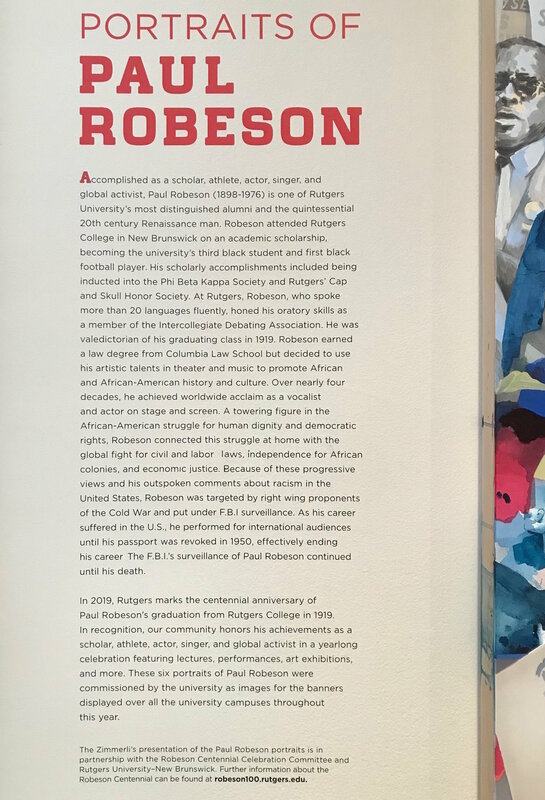 I’m honored to have been asked to paint a portrait of Paul Robeson for the Paul Robeson Legacy Project, in commemoration of the centennial of his graduation from Rutgers University. Paul Robeson’s legacy as a global activist, scholar, singer, athlete, and actor is truly extraordinary. Many thanks to the Zimmerli Art Museum for this opportunity! The exhibition is on view at the Zimmerli until April 28th.